This dish reminds me of typical Danish food… which is anything with gravy, but never without potatoes. This stew tastes kind of like a gravy – with lots of vegetables – though nothing like the fatty gravy I grew up eating at my grandma’s house. She is a good cook, but you can’t exactly say that her way of cooking aligns with my way of eating anymore. Every other Christmas, when we celebrate Christmas at her house, she roasts a whole duck or two and serves them with regular boiled potatoes, browned potatoes (a.k.a. potatoes cooked in an unhealthy amount of sugar), steamed vegetables, red cabbage, that gravy, and a platter of fresh vegetables. I don’t miss the traditional Danish Christmas dinner. I don’t even see animals as food anymore. But that doesn’t stop me from enjoying a meal inspired by Danish cuisine from time to time, and you can veganise any cuisine, even the Danish standard of meat + potatoes + gravy. It is what I grew up with after all. My lifestyle change gave me the opportunity to come up with a new vegan Christmas dinner. Last year I made a lentil loaf and served it with potatoes, vegetables, and mushroom gravy for dinner, then I enjoyed a vegan “ris á la mande” for dessert, and I’m thinking about making it a tradition. I will wait with sharing my recipes for a vegan Christmas menu, though, since I’m still perfecting it. But I really like the vegan ris á la mande. 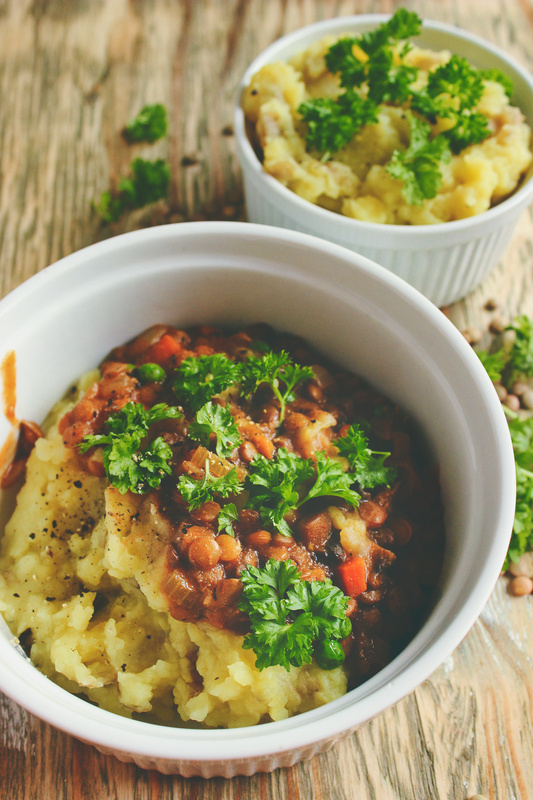 This stew can be made in the everything-you-have-in-the-fridge-style. 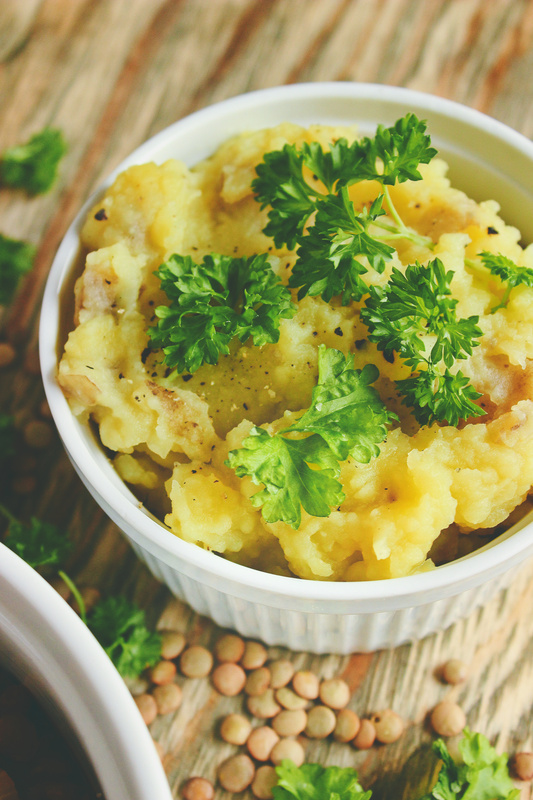 If you have leftover vegetables lying around, you can use them instead of the carrot or celery. Vegetables: you can swap a few of the vegetables if you’d like. You can really add whatever ones you have at hand. I think red pepper would work well in this stew, or maybe even root vegetables when they’re in season. But I would probably not suggest taking out the mushrooms since they add a lot of texture. 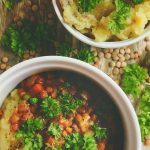 Lentils: You can use green or brown lentils. 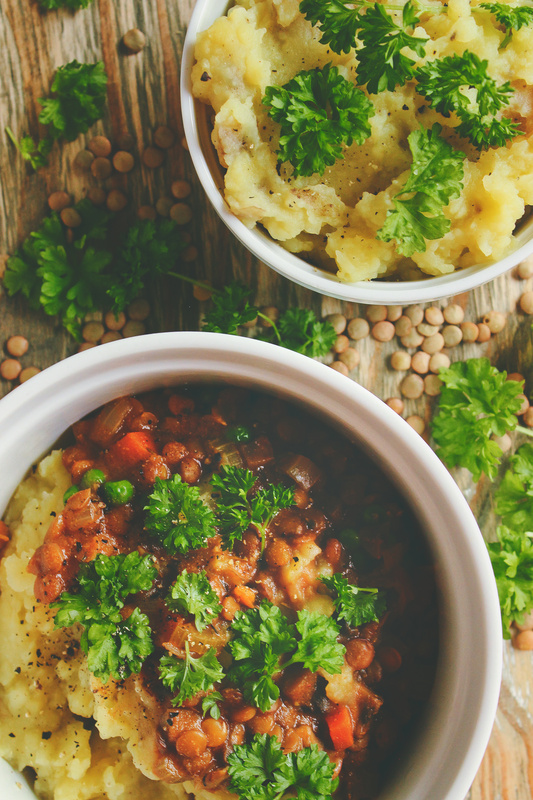 I would not recommend using red lentils instead of green, as these tend to get very soft and mushy after cooking whereas green lentils keep their shape and texture. 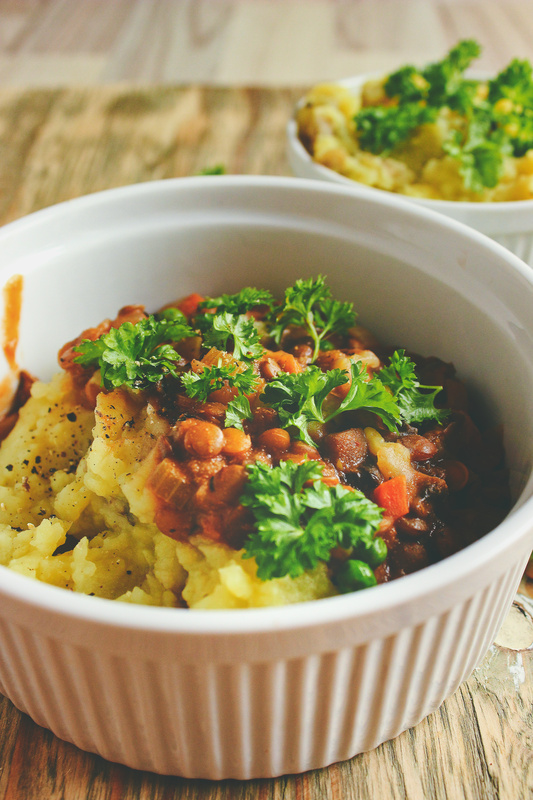 Flour: I use chickpea flour to thicken this stew, but you can also use brown rice flour or just all-purpose flour. Oooh, now I’m feeling very intrigued by the idea of a root vegetable stew. It’s easy to make, though it requires some chopping. I don’t know if I have told you this, but I’m the slowest chopper in the world. It takes me an unnecessary long time to prepare all my vegetables. I guess I could blame it on my young age, but I have been cooking for over a year now. I don’t think it’s really an excuse anymore. At least I like chopping vegetables, I find it meditative. 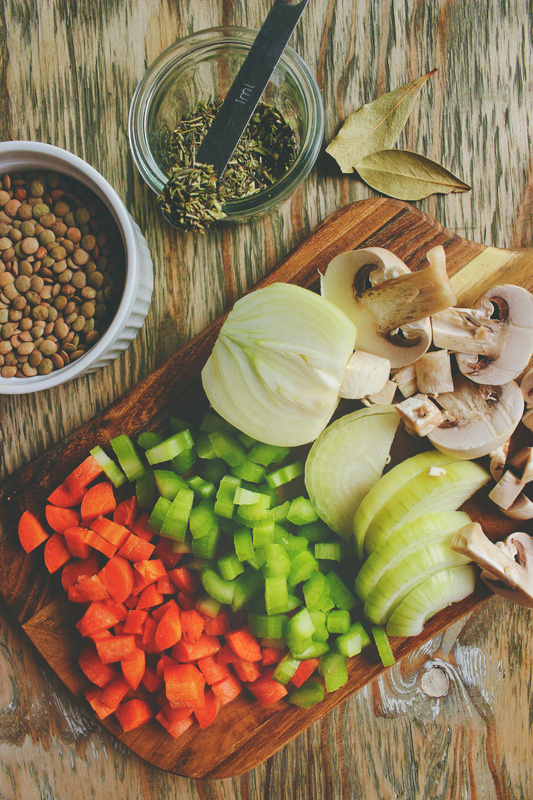 After you’ve chopped your vegetables, in this recipe you need onion, mushrooms, carrot, and celery – all staple vegetables for me! – you just sauté them in a pot with water or oil. I use a minimal amount of oil in my cooking, I mostly use it when I’m baking, but it’s up to you. Next, you add the lentils, chickpea flour (for thickening the stew), tomato paste, and seasonings, give it a quick stir, and cook everything on low heat until the sauce has thickened and the vegetables are tender. Then you add the peas, tamari (mostly to deepen the colour of the stew, but also the flavour) and black pepper, heat the peas through, and that’s it! 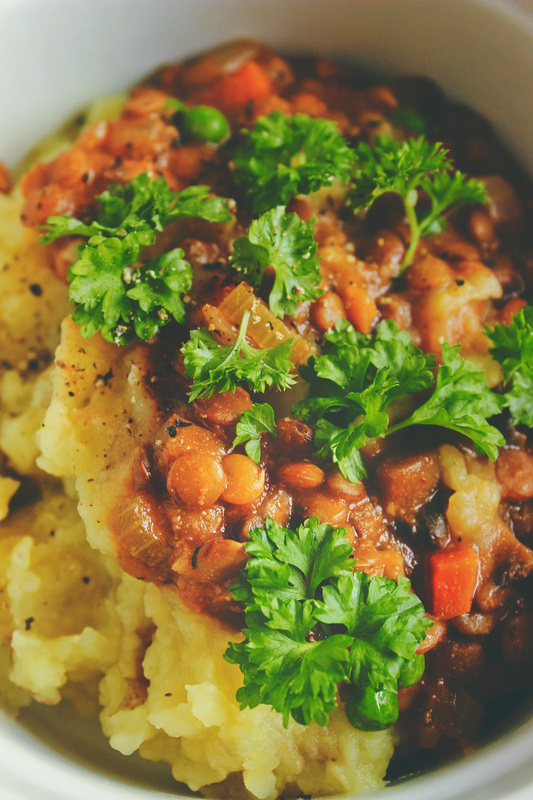 I like to serve this stew with mashed yellow potatoes, something I don’t eat very often – because sweet potatoes. But I think the stew would pair well with cooked brown rice or any other grain you like. And then I garnish it with sunflower seeds and parsley which is optional, but I love the extra flavour and crunch. You can start boiling the potatoes before chopping the vegetables for the stew and mash them while the stew is simmering! I just realised how little recipes I have actually made. I have got to start making some more comfort foods – they’re my favourite kind! My hearty hokkaido soup is also really good, even though the pictures are horrible… at least I can see that I have improved? If you try this recipe, please, leave a comment below or post a picture on Instagram and tag me at @spirendeveganer. I would love to see your recreations or just hear your opinion. I hope you’re having a good December and happy holidays! Add the onion, garlic, and water to a small pot over medium heat and sauté for 4-7 minutes until the onion is soft and translucent. 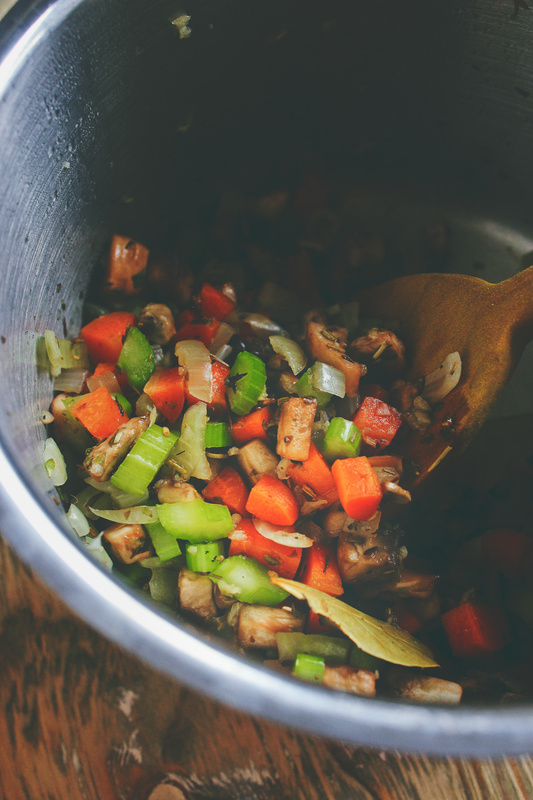 Then add the mushrooms, carrot, and celery and continue sautéing, stirring frequently, until the mushrooms start releasing water. Add the lentils, chickpea flour, tomato paste, oregano, thyme, rosemary, and bay leaves, stir to coat, and add the vegetable stock. Bring it to a boil. 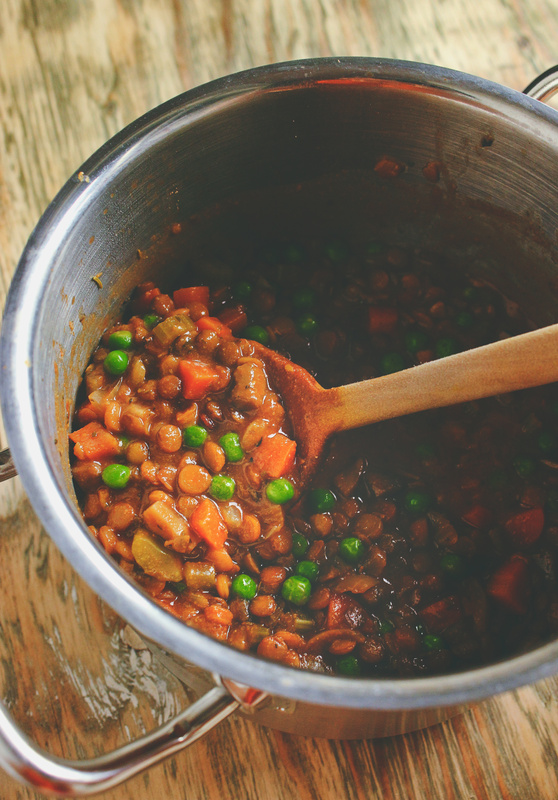 Once boiling, reduce the heat to low and let the stew simmer covered for 17-20 minutes, stirring occasionally, until the lentils and vegetables are cooked. If the stew hasn't thickened as much as you'd like after 15 minutes, you can let it simmer uncovered for the last minutes. Stir the peas, tamari, and pepper into the stew and adjust any other seasoning to your liking, adding more of oregano, thyme, or rosemary to enhance the herby flavour. Cook until the peas are heated trough. 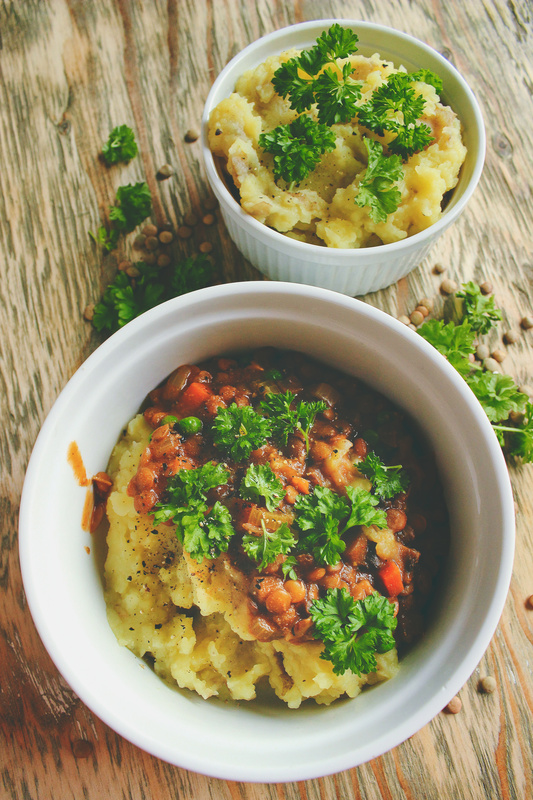 Serve the stew over mashed potatoes and top with sunflower seeds and parsley. Store leftovers in the fridge for up to 4 days or in the freezer for up to 1 month. For my mashed potatoes, I just chopped some good ol' yellow potatoes and boiled them for about 15 minutes until tender, seasoned them with salt and pepper, and mashed them with a potato masher, adding water to help the mashing as needed.